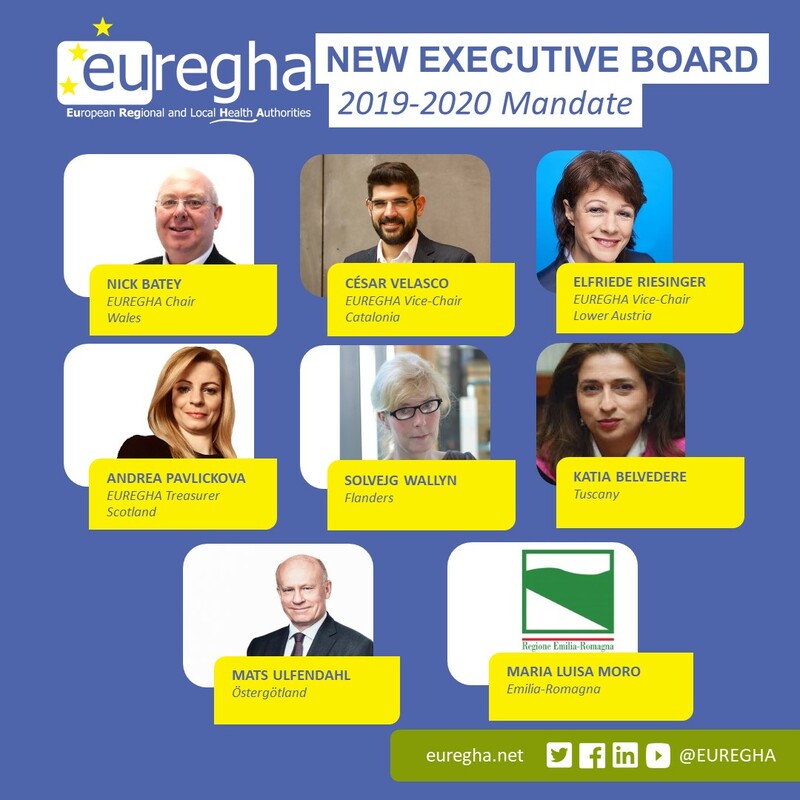 Our General Assembly elected a new Executive Board to lead EUREGHA for the next two years. EUREGHA’s vice-Chair, César Velasco Muñoz affirmed that “we need to go beyond the healthcare system and think about what citizens need to be healthy”. The new Executive Board will steer the association in a crucial period for the future of the European Union and the health policies. Even though healthcare within the European Union is predominantly a competence of the Member States, regions and local authorities share responsibilities and competencies in the sector. This is why EUREGHA and its Executive Board members will commit to ensure Health in all Regions.